Several weeks ago, the ultrarunners of the year were announced. 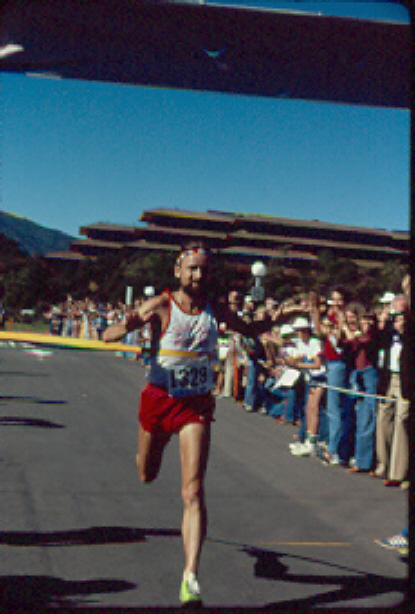 While perusing the list of previous winners, I noticed a runner by the name of Bernd Heinrich, who had won the award three out of four years in the early ’80s. After some learning a bit more about Heinrich (thanks, Google! ), who also turned out to be a distinguished biology professor as well as author, I decided to track him down for an interview. Enjoy! about your nickname back then and your evolution as a runner in general. One nickname that I recall was “wiesel” [“weasel”, the editor] because, at age 6-10 I was so small and thin and quick and getting into everything. I didn’t have shoes and we lived in the woods and I ran along a sandy road to get to the village school and back. I was not running all the time, of course- I liked to stop a lot and examine things along the way since there wasn’t much to go home to. What made you move up to the ultra-distance? you consider that your greatest achievement as an ultra runner? No. I’d wanted to and had expected to go ten or more minutes faster in that run. I had earlier run a 50 in a little over 5 hrs -it was on my way to the 100k. That 100k I felt was my best run, in 6:38 . Winning that marathon- so totally unexpected. I think that 100k. But probably the greatest satisfaction was finishing my one and only 24 hour run, on the track. I had planned to set the 100 mile record and then stop. The day before running 24 hours was in my mind totally out of the question. But, on race day running 100 miles in record time was out of the question; the weather forecast that morning before the start was for over 80 F. So, I changed my dream. I had trained three months on a solid base of 4 years, had depleted and carbo-loaded, taken days off, and felt peaked. I could not not run. I could still run at a slower pace, though, and take advantage of the coolness at night, and so I did; I set the American record, but only just barely. It was incredibly intense at near the end after a very long night, because to do it I had to speed up the last few miles! I did. I think I ran close to 6 min miles. When I heard the stopping shot I involuntarily dropped like a blasted hare, and they hauled me off in an ambulance to the hospital, because I started shaking like a leaf when they dumped cold water over me and put on the ice cubes. While lying there in bed I just kept repeating a hundred times over: “I did it – I did it- I did it–“, and I felt GREAT!. 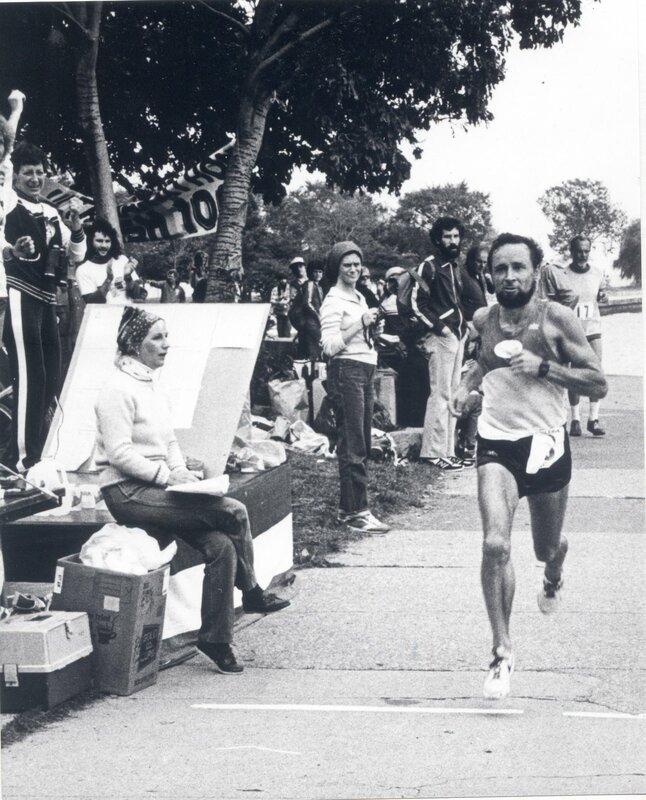 Did you have any runners that you looked up to? I can’t begin to name them, ever since high school. They were all gods- I felt so insignificant, yet inspired to know there were heroes..
loved to run, though, and mostly just as a means of locomotion, to go somewhere. Racing is an entirely absolutely different thing. Long after I raced in high school and in college, I just ran by myself. Not training for anything. Just running, and people would stare and point because I wore short shorts and seemed to be in a hurry–. Once I had a couple of guys corner me with their pick-up in a side road. I jumped on the running board of their truck like a bear on the attack, and would have yanked the bastards out, but luckily they suddenly stopped jeering, and one even smiled- so did I then, too- and we were friends. Anyways, as for RUNNING, I had (almost) nothing to prove to anyone. I KNEW I was no great runner- not like my heroes. The only thing I eventually decided to prove to myself was that I could run a marathon. The result, that I already just told you above, took me totally by surprise. OK- I was, after Boston, 40 years old now. I knew for a fact I’d never get any better- I could only get slower. I had really wanted to stop then, but I had caught up to many at the end, and now I “had” to run a “real” distance race, or else I knew I’d regret it later. I’m so glad I tried!! If I’d started ultras 30 years earlier I might have run hundreds, rather than a dozen or so, because I’d gradually have improved, and could always dream of running better. I could still run, and did, all the time. But in no way would I or could I take basically two or more days- and dollars-out of my life and tight budget, to do a race, when I could run anytime out my door and into the woods and back- and all without ANY hassle. WHY race??? I knew for a fact that I’d be slower in every race, anyways, PROVIDED I gave it my best in the races that I ran- and I did that, because I was running for records and because I knew I am not a particularly talented runner- not like my heroes. What would you consider the key to your successes? never. That’s often a good motivator. Are you still active as a runner? Was till last year- jumped only into a couple 10k for the heck of it – around 42 min, as I recall. But not now, have had one injury after the other during the last year. I am quite bummed out about it. are also about running. Please tell us a little bit about your books. title because two other books came out with “Racing the Antelope,” and these had nothing to do with racing nor antelopes. The topic of running, is however about adaptation in general, and the running book incorporates more than running per se- including material from my Physiologican Ecology lectures in animal adaptation, coupled to the personal experience of the 100k race. The other books are quite varied, but most relate, in one way or another, with the marvels of Creation and with my personal adventures trying to elucidate how it all “works.” My last (and best, I think, next to the running book) would be in the novel section, if it weren’t all true. I decided to use the real names. It’s “The Snoring Bird”, which was an ultra to write, because it covers so much ground and took so long to finish.